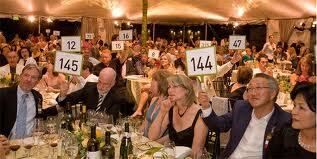 Napa Valley’s Premiere Auction has netted a record amount, with a 31% increase on last year’s total. The fast-paced bidding brought in a million dollars an hour at the Napa Valley Premiere Auction event held on Saturday, 25 February, at The Culinary Institute of America at Greystone in St. Helena, California. Over the course of three hours, trade members from across the US and several countries including the UK, bid on 200 different lots of unique Napa Valley wines made specifically for this event. The annual fundraiser for the Napa Valley Vintners, the non-profit trade association promoting and protecting Napa Valley, brought in a total of US$3.1m dollars this year, surpassing the $3m dollar mark for the first time.